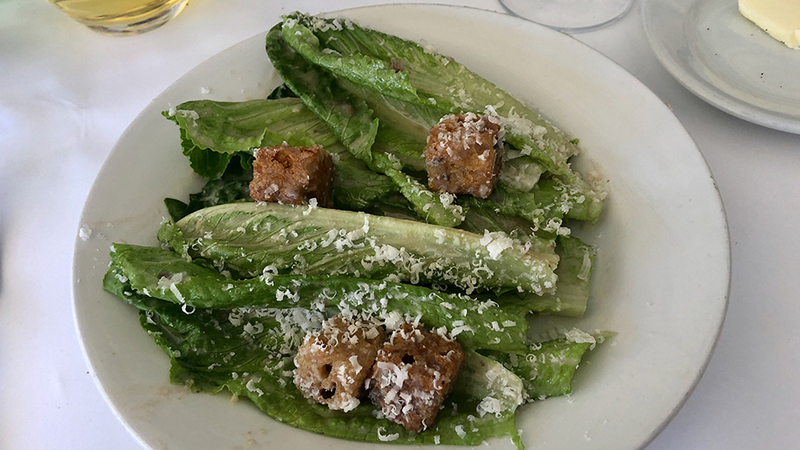 A San Francisco institution, Zuni Café has kept guests well fed since 1979, eons by the standards with which restaurants open and close in the United States. The cozy, two-story, rustic dining room is bustling with energy as we settle in for this mid-week lunch. Zuni’s menu is a sort of eclectic combination of French bistro food, Italian trattoria-inspired dishes and contemporary Californian cuisine, a mix that works surprisingly well. The wine list is medium in size, perfect in keeping with the informal atmosphere, and yet has enough room to hold a number of gems from the United States, France and Italy, with a focus on smaller, artisan estates. The selection of grower Champagnes alone is terrific. Best of all, prices are quite reasonable. In addition, guests can request the ‘Reserve’ list, which offers a handful of harder to find wines. 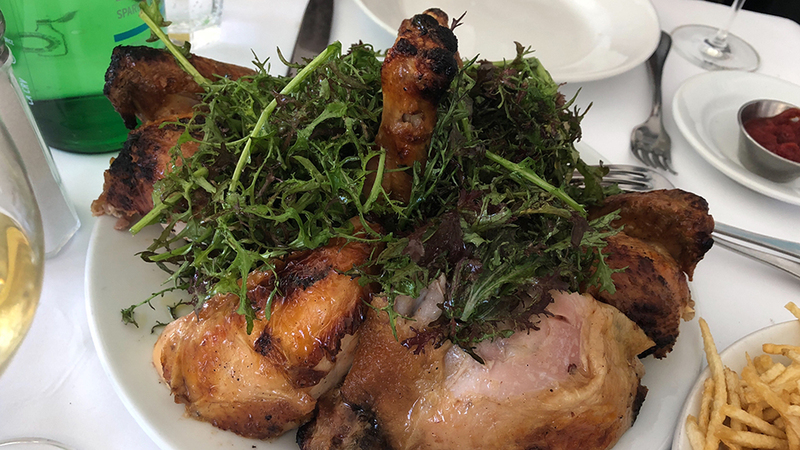 We opt for the classics, starting with the Zuni’s signature roasted chicken for two, which, as advertised, does take a full hour to prepare. 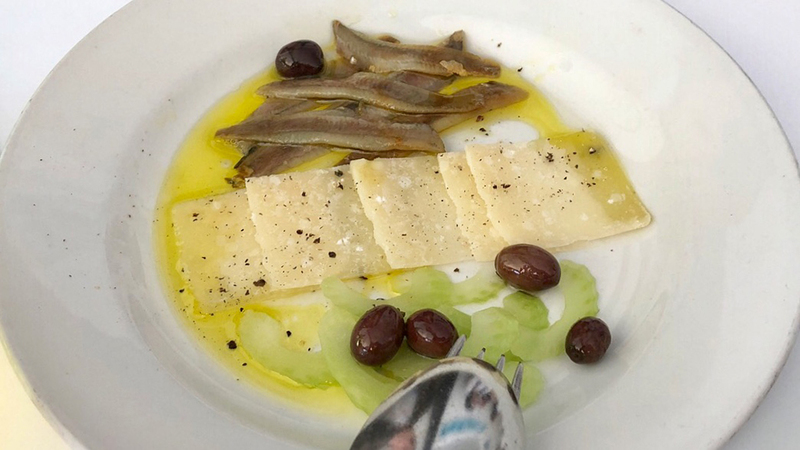 In the meantime, we enjoy the house-cured anchovies with celery, Parmigiano-Reggiano and coquillo olives, and the Zuni Caesar Salad, two lighter appetizers that are absolutely delicious on this unseasonably warm spring day. Perfectly cooked and seasoned, the chicken is well worth the wait. The warm bread salad and mustard greens on which the chicken is heaped are the essence of comfort food at its best. 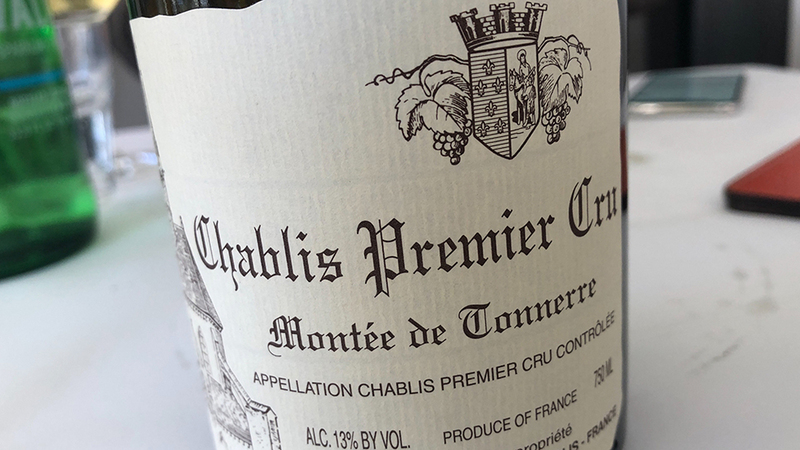 Raveneau’s 2007 Chablis 1er Cru Montée de Tonnerre is an ideal lunch wine. Actually, it is an ideal wine for any occasion. Now gently mellowed by the passage of time, the 2007 is in a beautiful spot where some of the wine’s youthful energy has softened, giving way to a complex set of aromas and flavors, while still retaining the beads of minerality that are such a signature of Montée de Tonnerre, Chablis’ most important 1er Cru. An afternoon of work beckons, so there is no time for dessert. We won’t let that happen next time. Readers spending time in San Francisco will want to stop by Zuni but, be warned: reservations are hard to come by, so a little advance planning is essential.